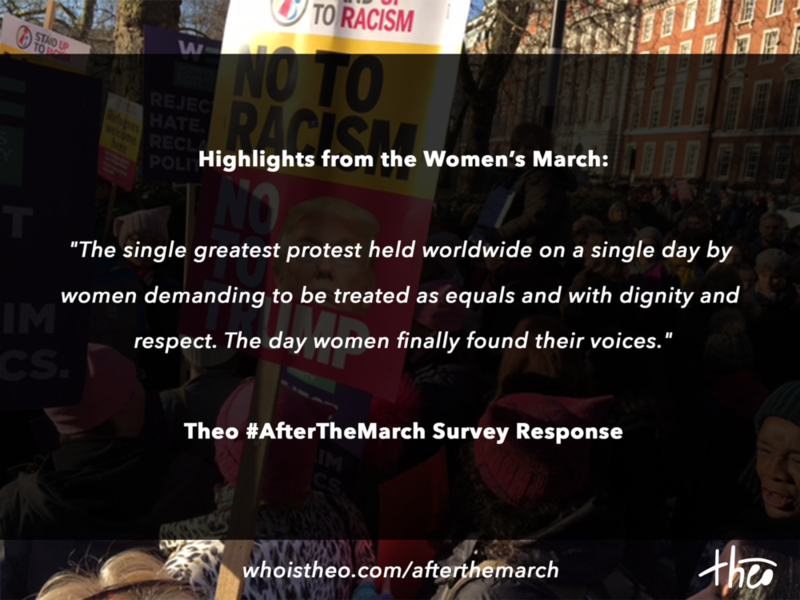 On January 21st, 2017, women from around the world joined together to march united. 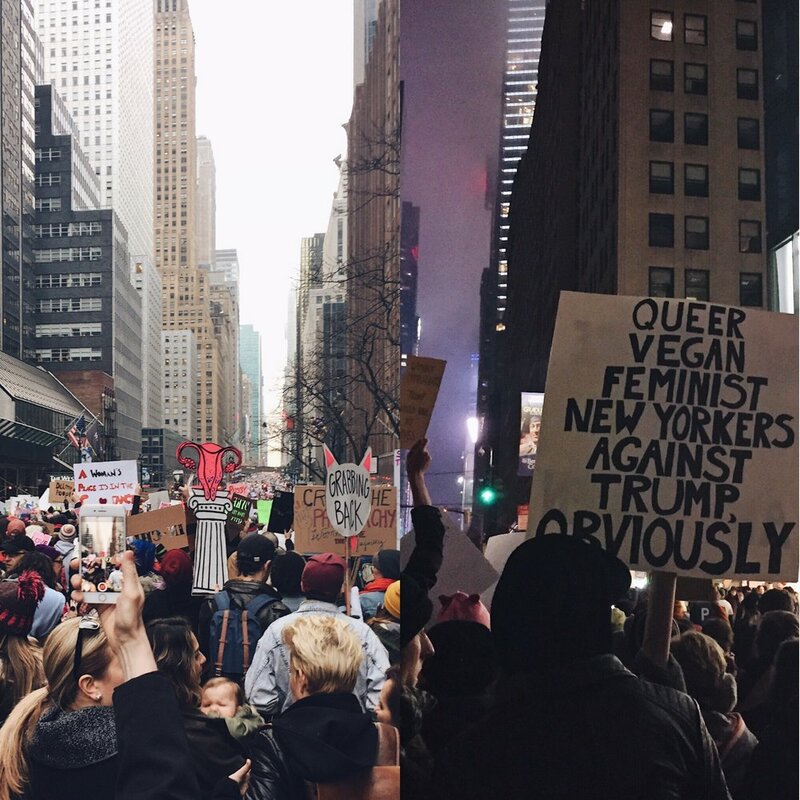 What began as the Women's March on Washington turned into one of the largest collective rallies in the world. 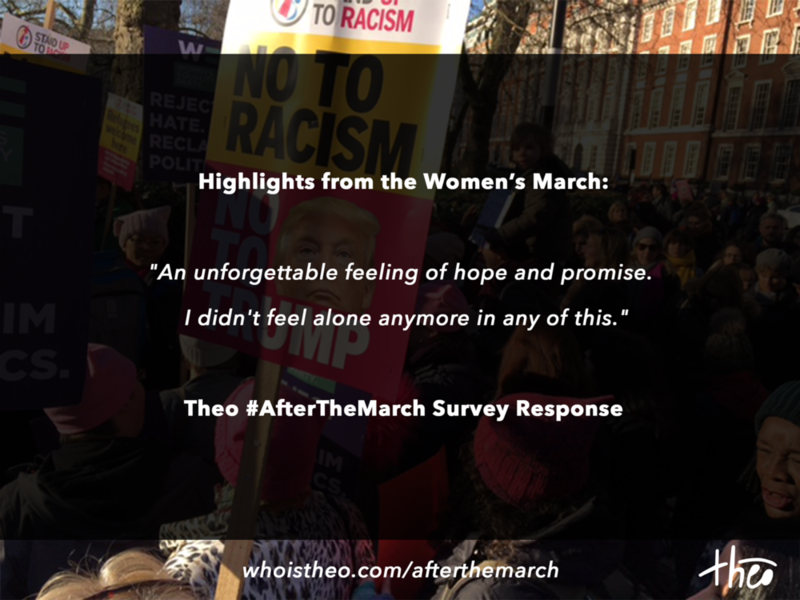 The rally was created for women by women and became known as the Women's March Around the World. 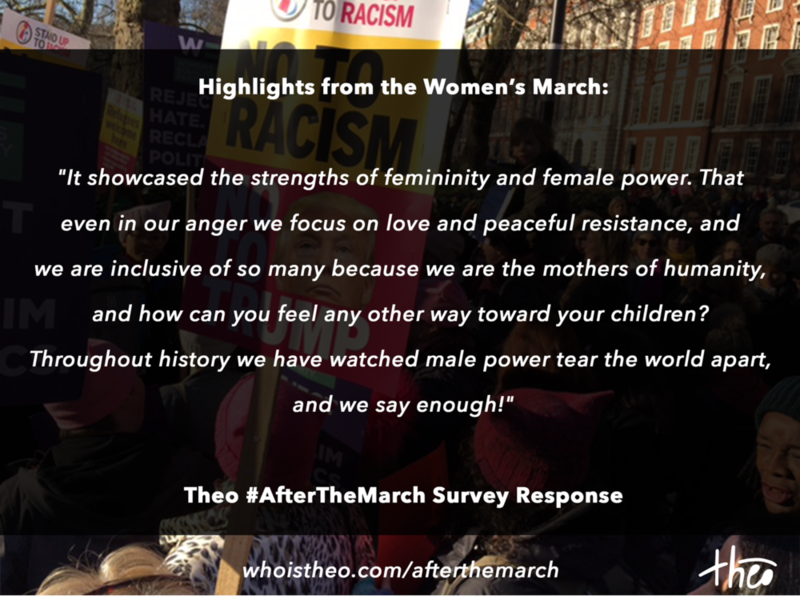 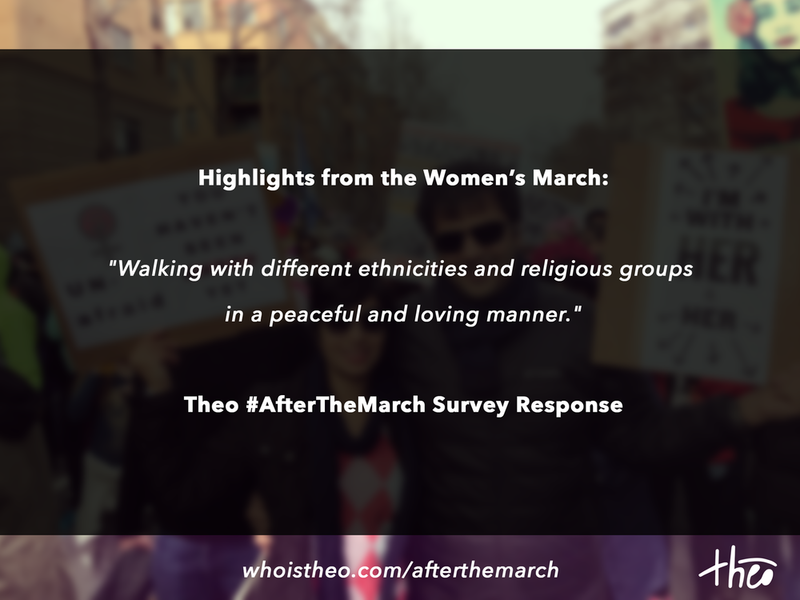 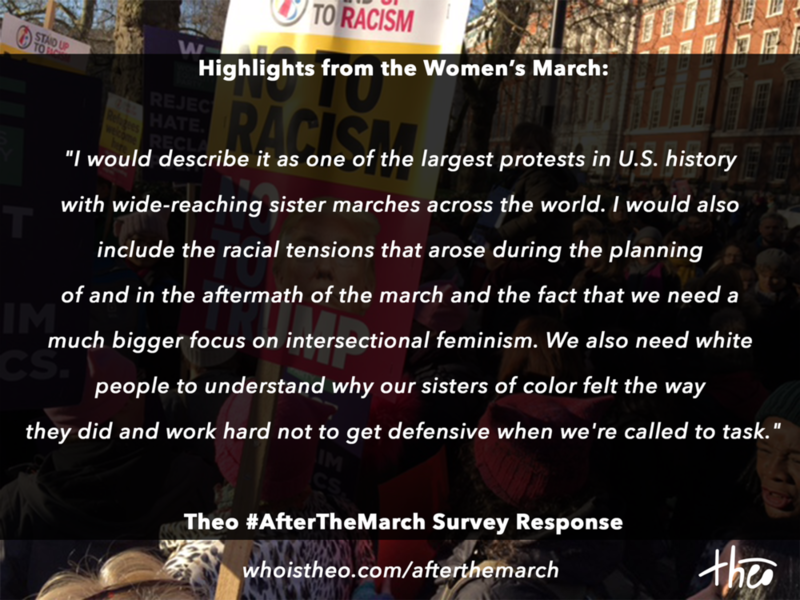 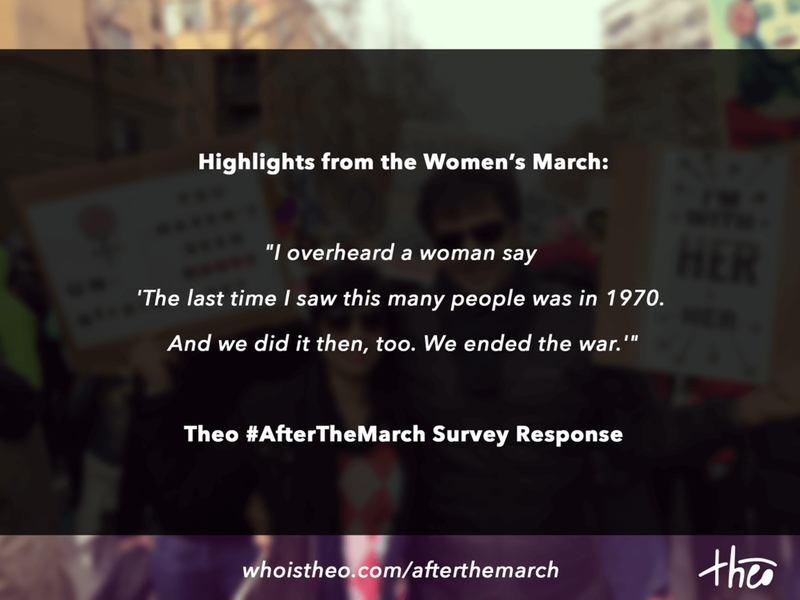 To better tell the story of the marches, Theo surveyed people who attended. 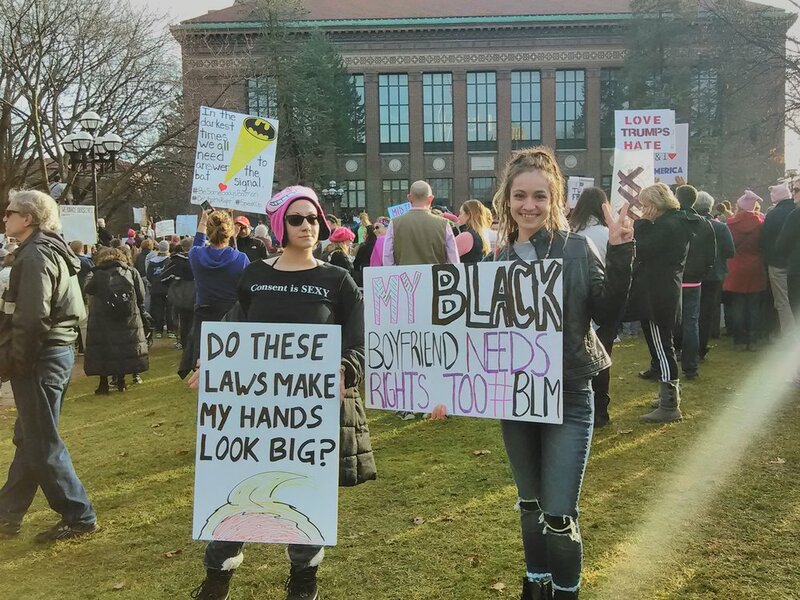 This bridge showcases the results. 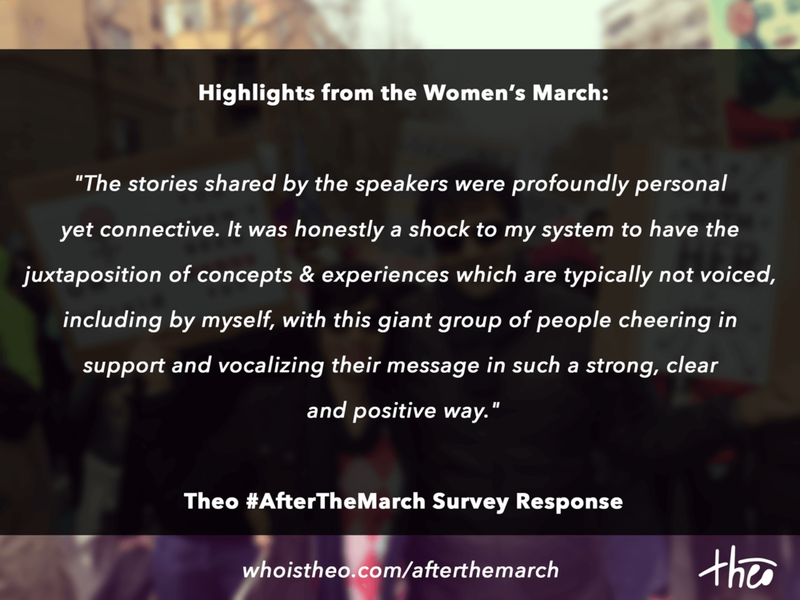 Theo Media is a sponsored project of Fractured Atlas, a non-­profit arts service organization. 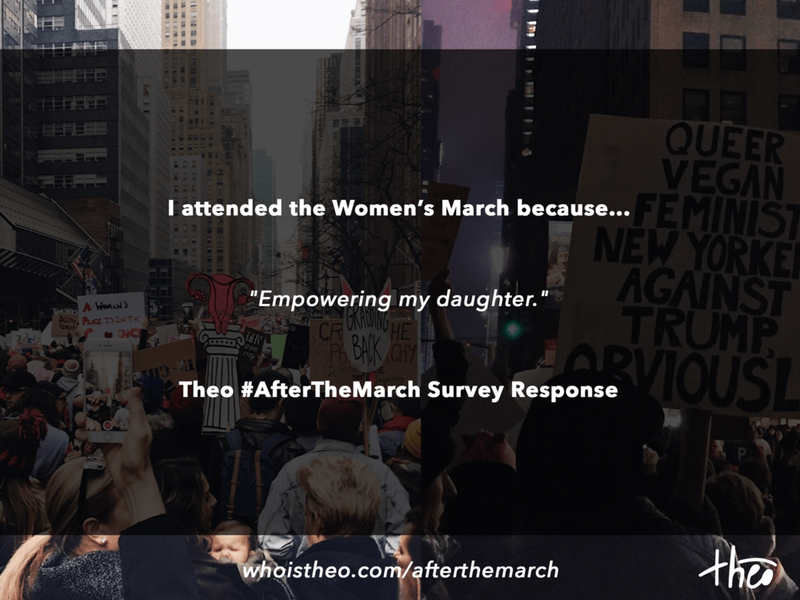 Fractured Atlas will receive grants for the charitable purposes of Theo Media, provide oversight to ensure that grant funds are used in accordance with grant agreements, and provide reports as required by the grantor. 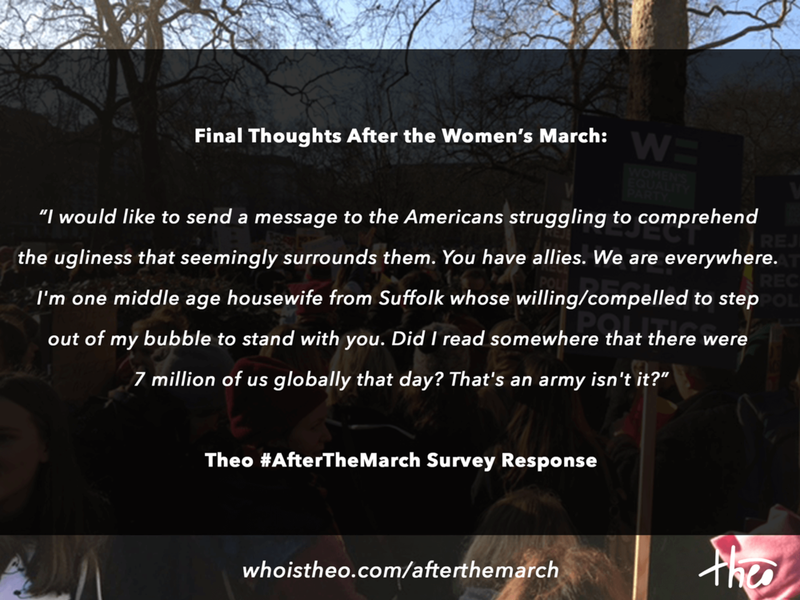 Contributions for the charitable purposes of Theo Media must be made payable to Fractured Atlas and are tax-­deductible to the extent permitted by law.